You can catch the stream on the Xbox Twitch channel that day from 2:30-3:30 PM PDT. Best Buy also announced today that it will hold a special one-off event at its Torrance, Calif. store from 1:30-4 PM on October 11 where you'll have a chance to go hands-on with Sunset Overdrive. Best Buy is also giving away Xbox One consoles, Best Buy gift cards, and even Sunset Overdrive skateboard decks during the event. Sunset Overdrive is in development at Insomniac Games, which is perhaps best known for its Sony-exclusive franchises like Ratchet & Clank and Resistance. We recently caught up with Sunset Overdrive creative director Marcus Smith who explained to us why the game is "the opposite of The Last of Us." Microsoft is publishing Sunset Overdrive on Xbox One. At launch, Microsoft will offer a $399 Xbox One bundle that includes a white system, matching white controller, and the game. This is particularly notable because it will mark the first time Microsoft releases the Xbox One in a color other than black. 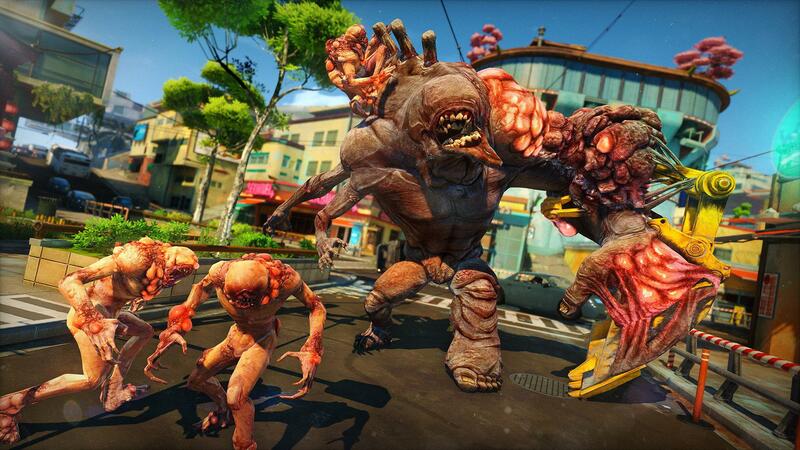 For more on Sunset Overdrive, check out GameSpot's previous coverage.